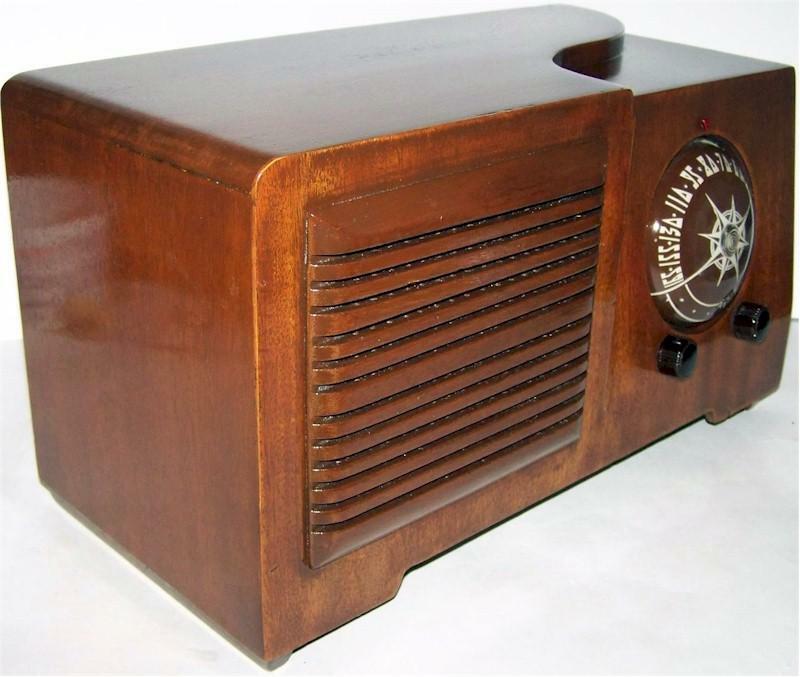 This is a beautiful wooden Automatic brand radio with exceptional reception across the AM band and with strong volume. The internal loop antenna pulls in the stations so well you won't need an external wire antenna. The dial is clear, bright and nicely lighted at night. A heavy radio so the postage will be $22. You'll like listening to this radio! Fully restored for safe, dependable operation. 15"W x 8-1/2"H x 7-1/2"D.
You are visitor number 3,356 to this page.